We manage a dozen LinkedIn groups for ourselves and our clients. Every now and again we see a discussion posted: “Post your Facebook Business page here!” Does it help to cross promote your Facebook page? The person who posted the discussion likely receives the most benefit in terms of fan base growth, but how engaged are those fans? Will they like and comment on your updates? If not then you’re just as likely to hurt your EdgeRank, the score Facebook assigns to indicate your relevance in the Facebook world. As you gain more fans who don’t engage with you your EdgeRank score goes down. As your EdgeRank score goes down, so does the number of people who actually see your posts on their news feed. As fewer people see your posts in their newsfeed, less people comment and like your posts, which continues to lower your EdgeRank, or relevance. It’s a viscious cycle that is severely self-defeating. If you’re starting to get the picture, you’re smarter than the average bear out there. And about now you’re saying, well how do I grow my fanbase and remain relevant? I have to say: I’m GLAD you asked! You might look at my business page and see I have under 1,000 fans. How could I possibly be a social media expert with less than 1,000 Facebook fans?! The answer is simple. I play in this space all the time, but my specialty is primarily LinkedIn and Twitter. A secondary “space” for me is Facebook and increasingly Google+. I also blog, but the content I’m most known for is webinars and speaking. Since I don’t spend as much time on Facebook the lower number allows me to compete in EdgeRank with users who are very active. On LinkedIn I have close to 30,000 connections, the maximum number allowed. On Twitter @LoriRuff has almost 67,000 followers and my alter ego @LinkedInDiva is close to 36,000. I also manage the company accounts @iasocialmedia, et al. So, those are my primary playgrounds and the numbers reflect the amount of time I spend as well as my fanbase and yes, I engage with lots of them: however, not all at once! The "LinkedIn Diva" Lori Ruff showing followers the way to her LinkedIn Rockstars Seminar. So, to have 700-800 followers on Facebook and about the same on Google+ just adds to the mix for me. I’m not a superstar on those platforms and I don’t pretend to be. But I do have a strong following. I do get leads from Facebook and Google+ and frankly, that interests me and keeps me in the game. It also keeps the size of each community at a level that is manageable and allows me to connect with all of my followers more intimately. By concentrating my growth on the networks that I spend the most time nurturing I can still scale other networks at a rate appropriate to time I spend on those. It’s all relative, and it keeps me relevant no matter which network I decide to use today. So how does that translate to you? My question is, where do you spend your time? What platform do you find brings you the most value in terms on return on your investment of time and energy? If it’s Facebook, then work to grow your fanbase but you can’t just post and hope people will reply. Go out and engage your community. Spend your time reaching out to the people who like your page. Comment on their posts. Get to know them and post comments and discussions of interest to them. They will respond. It’s in our nature to do so. With the new timeline covers, I also recommend you use that space to show your followers who you are. Work with a great graphic designer to create a visual representation of your service or product that is appealing to your visitors. And when you post a discussion, spend the little extra time it takes to attach a great picture to again, engage visual people with some eye candy. If you’re more active on one social network than all the others it is a good idea to cross promote and bring as many followers back to your home turf as possible. Don’t force their hand, and concentrate on followers that are engaged. It’s a good strategy to connect with users in the places that they spend the most time, and connect with users in the places you spend the most time. The sweet spot is connecting with the users who spend the most time on the network that you spend the most time and engage them so they effectively extend your influence. That’s optimizing your reach; that’s maximizing your influence. Think about these things when you cross promote and do so carefully. Before I sign off I’d like to see what you’ve learned. 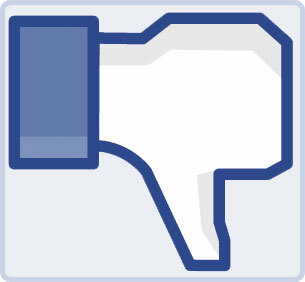 If you post your Facebook page URL below, I’ll come back and like you. I encourage you to not just post your URL, but include what your passion is, so when I like your page, I can comment about your passion, whether I share your love or find it to be something I’m glad you’re into. Take a moment to craft a comment that will spark a response here as well. You’ll find the same kind of engagement on Facebook, rather than just a trading of “Likes” that may affect your reach negatively this strategy will do more to help your efforts for conversation than anything else you’ll spend your time on. For your little test, here is my page address http://www.facebook.com/adamgjustice. Passion is a strong word, but as it relates to work, my passion is building visually stunning designs and creating online communities around people and applications. Directing everything and engineering an intricate tapestry that can only be weaved with all the correct threads. I love mastering all the details to make the finished product a masterpiece. I love it when other people get the same feeling and enjoy the things I’ve developed. 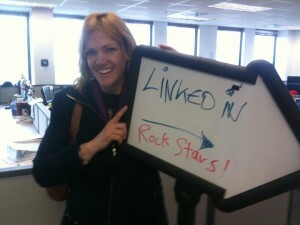 I saw the the LinkedIn Rockstars page Lori and was very impressed with the video. You guys certainly Rock! The Music theme is working for ya, and Mikes a good conversationalist. You ROCK Adam! I love seeing the light come on in people when we’re speaking to inspire or training to educate. The details sometimes bog me down but they always find a way to show up if you don’t give them the attention they deserve! Having people on my team who pay attention to the tiniest details is hard to find. It truly is a rockstar trait for a team to have that person. I’ve been really enjoying the posts on SMS and appreciate all the hard work you’ve done. And I’m grateful to have the chance to be here early to develop a relationship with you before you skyrocket. By the way… I LOVE, love, love the touches you added to the post. You really made this shine. THANKS ADAM! You’re a real rockstar! Thanks so much Craig! I love your posts on Facebook! They are right in alignment with this post. The engagement – connecting with people on any level you can makes a difference. 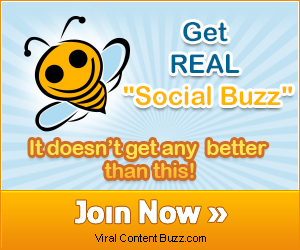 On social makes a huge impact on SEO! I really recommend you put up a great timeline cover. I have a fabulous designer who’s affordable and talented if you’d like help. Rock On! I really like what you said about it being a balancing act. All the more reason to really brand yourself and be consistent across the many platforms. I’m just beginning and constantly changing but here it is: http://www.facebook.com/pages/Johns-Free-Reviews/268944869841516. One of the best articles I’ve read recently! Thanks for your insights. Hi Lori. My passion for the last 13 years has been working with disabled students who are incarcerated, but since last August, I’ve had increased passion for learning and implementing Internet marketing. It takes time to set up systems, which is ok. Blogging has been most helpful in drawing interested customers, and I’ve been joining and adding to social networks. Your suggestion on interaction is timely, encouraging more interactions with those who have taken the time to stop by. Thanks so much! Thanks Luanne! I wish you all success in both your endeavors! I’ve worked with kids many times over my career and it’s always a fulfilling experience. But it doesn’t usually pay the bills so implementing a long-term solution to provide for you to follow your passion is a fabulous idea! Check in with me every now and again and let me know how it’s going. 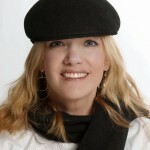 Hi Lori Great article, thank you for sharing. My passion has always been wildlife photography, I also enjoy pet portraits, travel and macro photography. It’s encouraging to get feedback on my photography and I hope that my photos tell a story. And what a FABULOUS image awaits when people land on your page 🙂 In short… It Rocks! I absolutely love the contrast between your timeline cover and your avatar. Sugar and Spice all rolled up into an amazing image! My passions that I’ve managed to change into a career are training, social media and LinkedIn especially. Thus I am not utilising Facebook http://facebook.com/petrafishertraining to the max. I do find that by participating in discussions on LinkedIn. By freely sharing my knowledge and really engaging with people I do get results. I also share my tips about LinkedIn through my blog http://petrafisher.com/blog-2 as this allows me to use illustrations to explain as well, something I cannot do on LinkedIn. Thanks for sharing Petra! It’s fabulous to see you here as well as on LinkedIn. You’re right, it’s hard to focus on multiple platforms, especially when you factor in blogging, etc. But I find at least having a somewhat respectable presence on the other major networks help people find me and engage. I’m always very clear that my primary hangout is LinkedIn so I am not (hopefully) judged by my lesser presence elsewhere. This amazing place holds a special place in our hearts, and we are so passionate about Medjugorje, and all it has to offer. Hill; and to kneel in the chapel to truly have a soulful insight. how these strangers can turn into friends for life. Hi Lori, this was a bit of a revelation for me, as i’ve just taken the reigns on a facebook fan page for the photography studio I work for. I want to make my page a hub where my clients can communicate with us and each other to comment on images and show off their photoshoots. For us all about exposure to the images. I feel they are strong enough to attract repeat visits, but getting the initial numbers is tough. As a photographer, it’s great to get feedback of all kinds, i wish people would volunteer their opinions a bit more freely. I get that. You do amazing work! You’re right… you need that initial engagement. We’ve used some specific strategies for encourage a first look from new people. One idea is to ask your clients to select their 5-10 favorite photos and upload them to Facebook, tagging your page on each one along with the other people in the photo. That way, instead of their friends seeing a side note “your friend was tagged in a photo”, their friends see the photo and who was tagged. Much more effective. You’re already using contests, etc. Perhaps there is a promotion you can use to encourage people to do the photo tagging described. I’d be happy to have a short conversation with you about other strategies. You can reach me via Facebook or my site listed above. Specializing and passionate about protecting families and businesses. Thats what our business is all about, making sure that one is protecting their future. https://www.facebook.com/proactiveinsurance Thanks for taking a look! http://www.facebook.com/home.php?filter=lf And I am bugged by how much connection is too much, I recently joined Pinterest and love its ease in sharing material. So my pins also go to my Facebook page. I have asked several times for comments about what I post on Facebook and if the cross links are annoying. Usually the response is no. But and a big one, since I am now pinning I notice all likes going down. But there are other explanations that might be at play. Still I wonder what is the consensus on how much cross posting is too much. I just graduated college and am now working as a media specialist for DuTeau Chevrolet in Lincoln, Nebraska. Lincoln is a growing city and I amt trying to promote my page in high schools, businesses and through the University. I love using social media to connect with others and it is so important to a business now more than ever. Well not bad! You might want to remove abstract posts like “They Updated Their Cover Photo” Also, as the page, you can visit other pages in the local area where your customers are likely to engage and comment, like or share what they are doing. That will help you get more exposure rather than waiting for people to come to you. Thanks for stopping by and commenting! I liked your page and am wishing you all success! My passion is art. I recently started painting again and am trying to get my work out there. I am solely using Facebook right now, but I am interested in using other mediums as well. Great article! I’m currently managing the Facebook/Wordpress blog for a growing Dehumidifier company, Ausclimate – our goal/passion is translating the sometimes dry topic of Dehumidifiers into something interesting and relatable to people and their everyday lives. We’ve just started out really, but are focusing on interesting and varied content. We have some strategies in line to grow our likes such as competitions/giveaways of accessories, as well as “reconnection” emails to existing owners and future Facebook advertising. Would very much value any advise to help grow our community. I really liked your emphasis in the article on actually engaging with your followers, rather than just getting them.